Perhaps few things in life can be as enjoyable as walking around an open air, oceanfront, farmer’s market and browsing fresh produce, fine art, and homemade goods from local artisans. 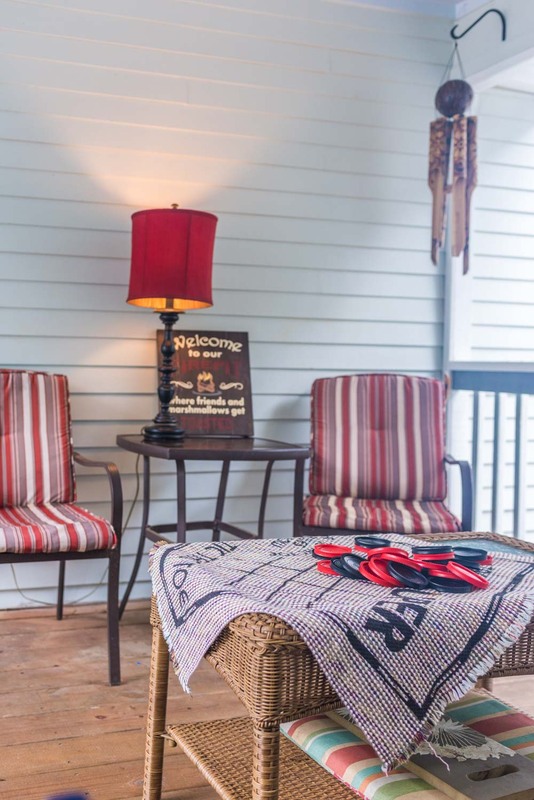 Although some would say that kicking back in a beach chair and listening to the sweet melodies of local musicians playing to the rhythm of waves crashing in the distance just may have that beat. Thanks to the St. Augustine Beach Civic Association, you can do both right here in St. Johns County. 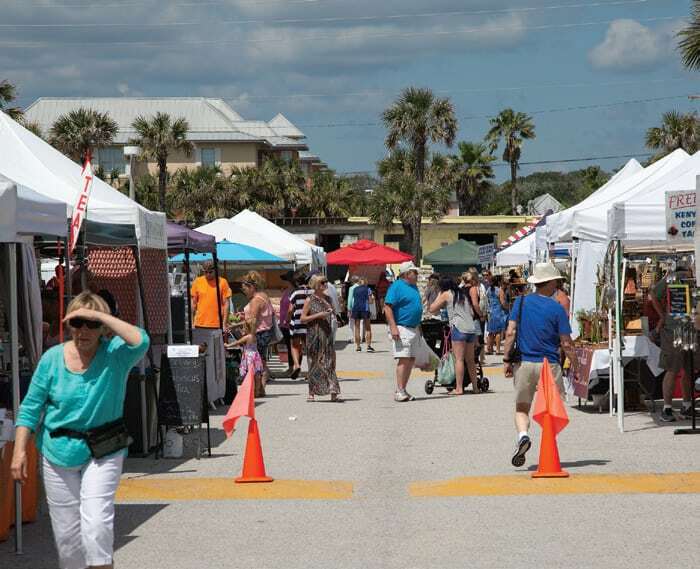 In May of 2000, then SABCA President Robert Samuels ran with his idea to start a farmer’s, arts, and crafts market at St. Augustine Beach Pier Park. “It has been an amazing evolution,” says current President William Jones. “Within the first year the market grew from ten vendors to twenty-five.” In fact it was such a hit that in 2002, after realizing the community impact and success of the market and seeing that almost no other organizations were utilizing Pier Park’s beautiful pavilion, Samuels and his wife Andrea presented another stellar idea. “They came up with the concept of holding free community concerts under the pavilion,” explains Jones. 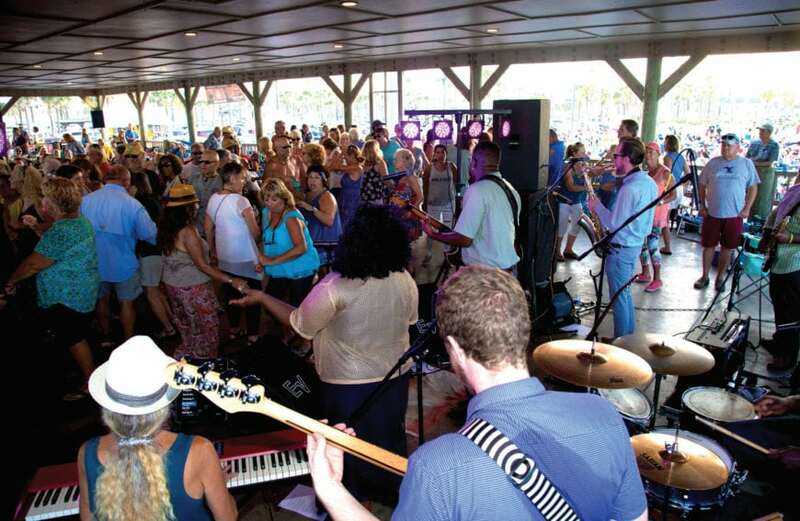 What resulted was the wildly popular Music By The Sea concert series that is still in existence today with an ever-growing fan base. With the popularity of both events, it would seem that nothing could get in the way of SABCA’s good fortune. However, there has been a looming storm cloud over the otherwise sun-filled happenings at Pier Park in recent years. Since March of 2016, SABCA has experienced opposition from the county in regard to retaining their lease of Pier Park for their two events. After occupying the park rent-free since the market’s inception, the association was informed that, starting in June of 2017, a rental fee would be initiated due to the County’s need to increase revenue. Until this time, SABCA had been covered under a 2005 County resolution allowing nonprofits to operate farmers markets in county parks rent-free in order to promote a sense of community. Ultimately, the Wednesday Market was able to stand the test of time while others were not so lucky. This past December they were given even worse news. Lease renewal would not be granted upon expiration of the current lease. “After we heard about this we started our ‘Save the Market-Save the Music’ movement. We had over six thousand people from Florida and twenty-three other states sign the petition,” says Jones. That petition resulted in a three month lease extension. However, the county has announced that it will construct an RFP (Request For Proposal) to take place when the extension runs out this fall. 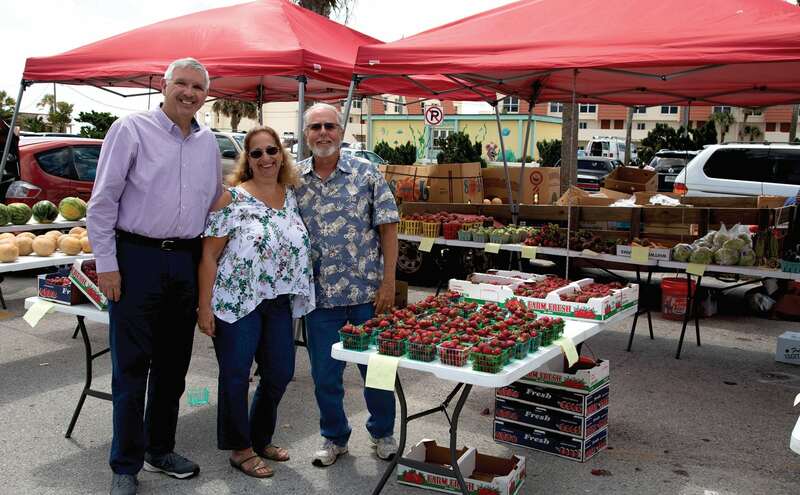 This will allow both for profit and nonprofit organizations to bid for the right to operate the farmer’s market and Music By The Sea. “We will submit a proposal,” says Jones. “We hope that the county will take into consideration our contributions to the community and the events we produce as part of our rent.” He goes on to say, “Even though we didn’t pay rent until recently, we’ve never truly had a free ride. We have always paid for liability insurance, marketing, traffic control, and sales taxes. We’ve also put thousands of dollars back into the community.” SABCA has been a beacon for community support since 1980. Visit the St. Augustine Beach Civic Association website to learn how you can help them save the market and the music.